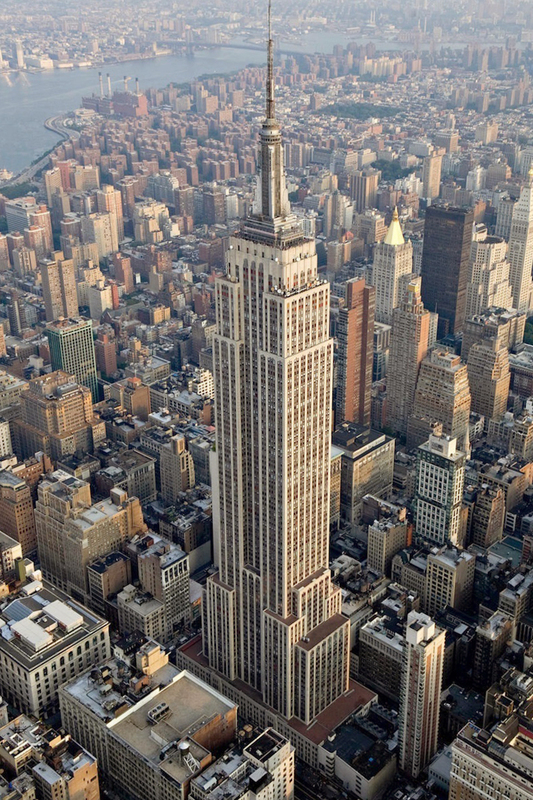 Whether it earns an A or an F, each building in New York City has to display its energy grade. The new law applies to more than 36,000 buildings. Photo: Sam Valadi. License: CC BY 2.0. New York City will soon require posting of energy use “grades” near building entrances. The new law builds on an existing transparency regulation—a “benchmarking and disclosure” law passed in 2009 that applies to all privately owned buildings larger than 25,000 ft2 and to City-owned buildings larger than 10,000 ft2. The existing benchmarking law requires building owners to compare their energy use against national averages through the Energy Star Portfolio Manager tool. They then disclose their energy data and Energy Star score through a publicly accessible database. With the new regulation, the Energy Star score will get translated into a letter grade from A to D, and building owners must post their grades in a prominent location, such as the building entrance or lobby. An Energy Star score of 90 or higher receives an A, while a score below 20 is a D. Buildings will receive an F if owners don’t benchmark and disclose their energy use. The new law will apply to approximately 36,700 privately owned properties starting in 2020, according to a statement from the New York City Mayor’s Office. Not everyone is excited about the new law. Carl Hum, senior vice president of the Real Estate Board of New York (REBNY), explained why his organization opposed the new regulation. The result? Some of the most energy-efficient buildings in the city could have grades of B—even the recently renovated Empire State Building. Hum fears prospective tenants may start demanding lower rents due to what they perceive to be inferior energy scores. But that’s the exact intention of the law, the Mayor’s Office points out.